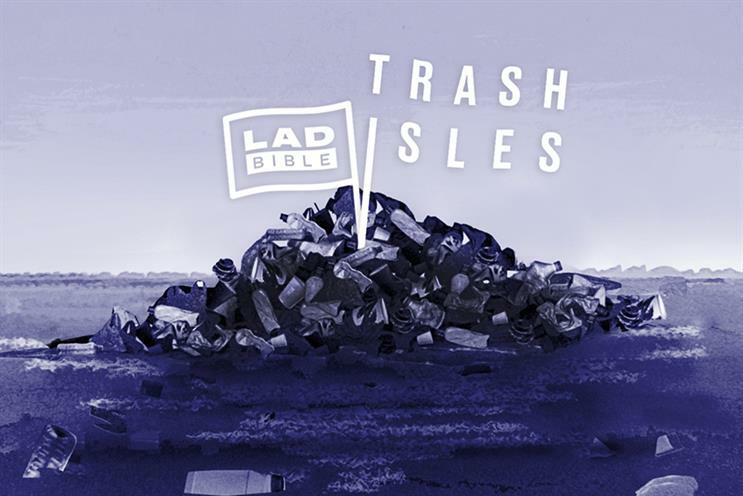 Abbott Mead Vickers BBDO has won the Cannes Lions Design Grand Prix for its "Trash Isles" work for Plastic Oceans and LadBible. The social responsibility campaign aims to raise awareness that an area of accumulative plastic trash the size of France is polluting the Pacific Ocean and is so dense that it has begun creating landmasses in some parts. Its goal was to empower young people to lobby the United Nations to acknowledge the plastic in oceans. To meet this end, the agency created the "Trash Isles" concept. It launched with an official flag, currency called Debris, and passports created from recycled materials. Since then former Vice President Al Gore has become its first honorary citizen while Dame Judi Dench agreed to be "Queen of the Trash Isles". Julie Andersen, global executive director at Plastic Oceans Foundation, said: "We believe in the value of creativity and its ability to serve as a powerful tool for awareness. 'Trash Isles' is a perfect example of multiple sectors coming together to create a campaign that has done exactly that." The campaign also won a silver and a bronze in the same category. The AMV creative team behind the idea, Dalatando Almeida and Michael Hughes and designer Mario Kerkstra, said of their win: "We wanted to put this country-sized problem under the noses of world leaders, literally, raising awareness of the crisis in our ocean and its impact. So to see the campaign getting recognition on a global stage is great as the more noise that is created around the issue, the harder it is to ignore". In total, there were 11 UK winners, while the US won eight gongs. Standout performers include "Intel Drone Light Show at the Olympics" by Intel in the US, which won a two golds. WPP’s Superunion, meanwhile, nabbed two silvers for "The old and the new Collidge - reinventing Shakespeare’s Globe" and a bronze for creating a new identity for the London Symphony Orchestra. Adam & Eve/DDB’s "Project 24" for Calm, the male suicide awareness drive which ran with ITV, notched up a silver as did Wolff Olins’ "Lafayette Anticipations" for French department store Galeries Lafayette. Nike’s work on the Australian marriage equality campaign by Wieden & Kennedy Portland also won a silver. Two bronzes went to Grey London for its "Design Language" campaign for Braun and one to Asif Khan for its work for Hyundai around this year's winter Olympics.